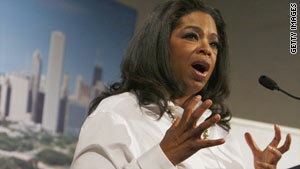 A new unauthorized biography on talk show queen Oprah Winfrey is slated for release on April 13. (CNN) -- Kitty Kelley, biographer of the rich and famous, is getting ready to release an unauthorized biography on talk show queen Oprah Winfrey. The 544-page book, "Oprah: A Biography," will be released on April 13, with a first printing of 500,000 copies, according to the Crown Publishing Group. "We are excited to be publishing the first comprehensive biography of one of the most influential, powerful and admired public figures of our time, by the most widely read biographer of our era," said Tina Constable, a vice president with Crown. The author spent three years researching for the book and conducted 850 interviews, Crown said. Kelley's previous books have chronicled the Bush family political dynasty, the British royal family, Frank Sinatra, Elizabeth Taylor, Jacqueline Kennedy Onassis and Nancy Reagan. Winfrey's Harpo Productions had little to say about the book. "Oprah hasn't participated in or read Kitty Kelley's book, so she is unable to comment," said Winfrey spokeswoman Lisa Halliday.